Create effortless style in your coastal bedroom with the Beach Stripes Rug - 9 x 12. 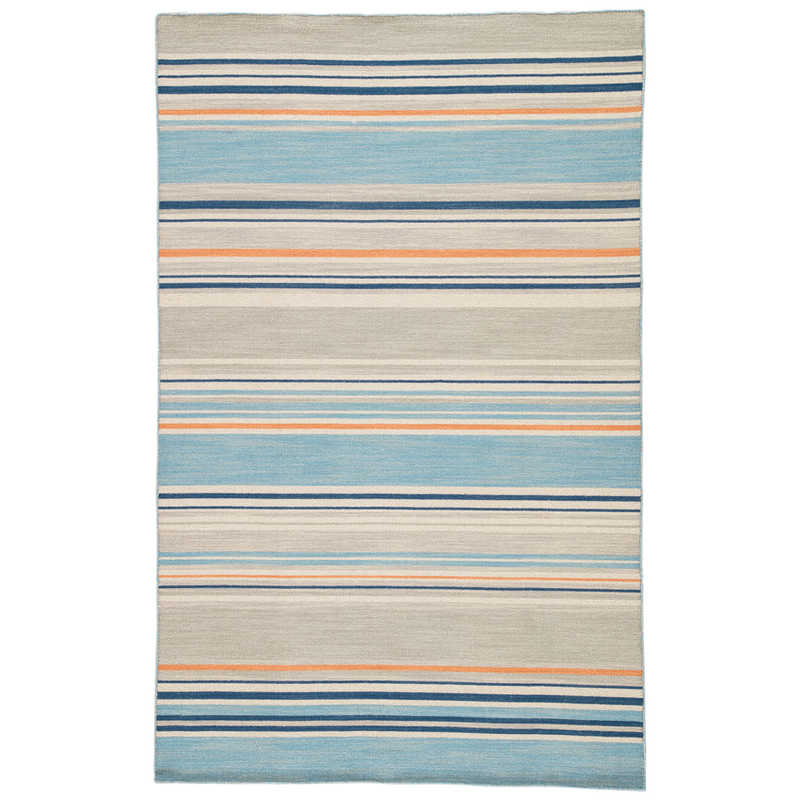 This nautical area rug is made with a contemporary ticking stripe pattern in shades of blue, orange, and gray. For many more options, we encourage you to make time to look at our extensive array of coastal area rugs at Bella Coastal Decor today.